Add a natural elegance to your Advent services. This Robert Smith® tabletop advent wreath is hand crafted from solid maple and beautifully finished with an antique maple wood stain. 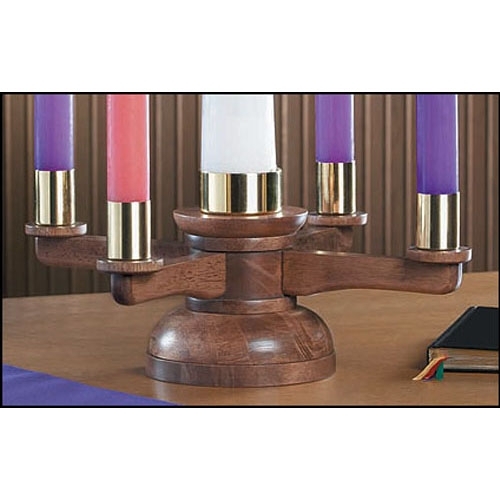 Holds (4) 1-1/2" diameter and (1) 3" diameter candles, sold separately. Some assembly required.